It’s time to start seeking out a longer commute, working your way through a new cookbook, or maybe even cleaning your room — whatever it takes to have time to listen to more podcasts. Today, Gimlet Media announced its fall slate of programming, including plans for a scripted series, a true-crime podcast, and a new nonfiction narrative series. Homecoming, the scripted series, is a six-episode thriller that centers around a mystery involving a caseworker (voiced by Oscar nominee Catherine Keener), her supervisor (fan of juice David Schwimmer), and a soldier trying to rejoin civilian life (voiced by internet boyfriend Oscar Isaac). The future of prestige drama is in podcasts, apparently. Homecoming has a script from Eli Horowitz (The Silent History) and Micah Bloomberg (Creative Control) and sound design from Serial’s Mark Phillips. It’ll premiere November 16. 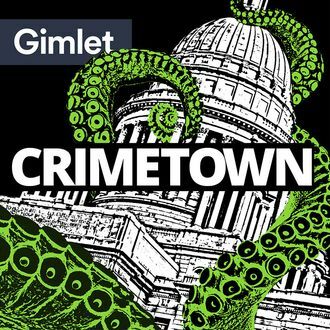 Gimlet’s other fall offerings include Crimetown, a series centered on organized crime in Providence, Rhode Island. Hailing from The Jinx producers Zac Stuart-Pontier and Marc Smerling, Crimetown tries to unravel a web of corruption that ensnares everyone from mob boss Raymond Patriarca to Providence mayor Vincent “Buddy” Cianci. Its first episode arrives November 20. Finally, Gimlet is adding Undone, a nonfiction series about “the things that happened when you weren’t looking.” Hosted by Pat Walters, formerly of Radiolab, Undone will include, among other episodes, takes on Chicago’s infamous Disco Demolition Night, the fight over the oldest skeleton found in North America, and the world’ first computer dating service. It premieres November 14. The company also announced that StartUp, which centers on embattled American Apparel founder Dov Charney, will return for a fourth season on November 3. Like we said, prepare for a whole bunch of podcasts.